I am committed to helping you find your passion, heal old wounds, and flow smoother in all aspects of your life path! I use a compassionate listening approach. You can look here in 7 cups under Chat drop down list. There should be a LGBTQ Support group there. I myself am I transboy under 18, feel free to message me anytime I'd love to support and chat with you! Not specifically, but there is an LGBTQ+/ MOGII chat group. You can always keep searching, though, to see if it updates! I don't know. I used to go on facebook groups and pages for LGBT community. I hope this is enough. There is the Trevor Project; Susan's Place; TQ Nation and many more to find by friends recommendations/Google. I don't think so but I think it would be a great idea because everyone is equal and this has to be dealt with immediately! http://www.lauras-playground.com, GLBT National Talk Line has a Youth talkline 800-246-PRIDE (7743). I'm not aware of any chats, groups, or forums specifically from Trans teens 18 and under, the best place to turn to for trans support is 7 cups of tea LGBT+ group chat support. There are many chats, groups and forums for Transgender teens 18 and under. Many Listeners can talk to you regarding LGBTQ+ topics and there is even an LGBTQ+ Support Chatroom in your Group Chats. There are always forums on 7COT available on almost any topic! If your specific topic of choice isn't there you can simply make a forum post. You can also try to find a listener that talks to people under 18 and deals with LGBTQ+ issues, just plug in your preferences in the search engine and someone will come up. 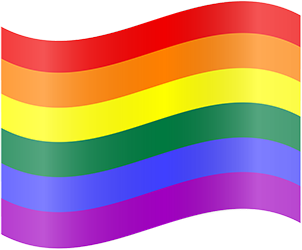 There are many resources for LGBTQ+ people whom seek helpful resources and advice. Such Organizations like PFlag, Human Dignity Coalition,PRIDE, and Facebook Local Support groups for LGBTQ+ are available to you online and sometimes in your local cit/town/territory/area. Please feel free to ask me for help with searching for helpful resources for you or others. You can find groups here. Same with forums, people you will meet are honest and may have the same struggles like you. Chats are the most private session and it is not hard to find listener who will care of you. There are a number of resources for transgender teens under 18 and their parents, try searching for trans support under 18 on the internet or asking others in the transgendered community. I belive that childline has a good trans section of their website with lots of infomation forums and chatrooms for trans teens. If you have a mobile phone, I suggest finding an Amino app to socialize with another trans identifying individual. If there is an LGBTQ+ Amino, I'm sure there's a specific transgender one as well. Try looking around this site for a while - there are plenty of forums and chats on here with plenty of variety, so there may be. There's also the website Empty Closets which is a forum designed for LGBT+ people. Yes, actually! There's TransParents for parents raising a transgender child. Camp Born This Way is a weekend-long summer camp for transgender youth and their families. The chat for that would be called the LBGTQ+ chat. Yet it's for members only right now. I don't know if it is 18+ and under though. Yes there are. I reccommend http://www.chatzy.com/36863706722971 It is a good chat, with caring people that can relate to your problems/concerns. Related Questions: Is there any chats/groups/forums specifically for Transgender teens 18 and under?